This successful automotive repair business provides an excellent opportunity to purchase a well-established, profitable company. In business for over fifteen years, the current ownership has developed systems for both delivering and marketing their services and effectively operating the business. 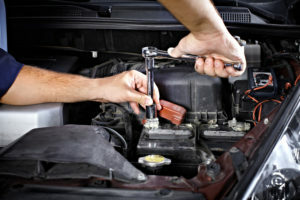 The Company is a full-service auto repair business providing both gas and diesel repair on all makes and models of automobiles and light duty trucks. The Company focuses on superior customer service and the ability to resolve difficult diagnostic and technical problems. Their key employees are tenured and their staff has decades of experience between them. They have operated out of the same location for many years which increases repeat business. Their current marketing strategy creates in excess of 50 new customers each month. The current owners of the business also own the property and although they would welcome the opportunity to sell the property with the business, they would also consider a long term lease to a qualified buyer. Ready to retire, the current owners look forward to assisting in the transition to new ownership.